Russia's advanced jamming and electronic warfare capabilities are well known. The conflict in eastern Ukraine involving Russian-backed separatists, who are taking advantage of Russian capabilities and assistance, and the Ukrainian armed forces is providing the U.S. military a unique lens to examine Russia's capabilities. "We're learning an awful lot from the environment in Ukraine, both the capabilities we've seen the Russians display in Crimea — electronic warfare capability at a tactical level that we absolutely don't have," Lt. Gen. Ben Hodges, commanding general for U.S. Army Europe, said earlier this year. In one of the more startling displays of Russia's capabilities, they have disrupted the unmanned aerial vehicles tasked by the Organization for Security and Co-operation in Europe's Special Monitoring Mission to Ukraine to chart the conflict. The OSCE SMM monitors the security situation on the ground involving the separatists and Ukrainian army detailing ceasefire violations, shelling and acts of aggression. This development was first reported by Foreign Policy in October. According to their report, long-range UASs as part of the SMM were suspended in August following a series of hostile acts undermining the mission's UAS operations and strength. These UAS were disrupted via surface-to-air missiles and military-grade electronic jamming, Foreign Policy reported. "The Mission's UAV strength has been severely undermined during last several months," an OSCE spokesperson told C4ISRNET in an emailed message. "Apart from long-range UAVs, our mid-range and mini-UAVs were targeted during that time as well." The specific long-range aircraft affected were the Austrian-made Schiebel Camcopter S-100s. "I truly believe that Schiebel was out of their depth in this one," Foreign Policy quoted a former senior OSCE official. "Live fire and GPS jamming were the two main factors for the loss of the drones. The units did not have the capabilities to resist jamming … Schiebel may not be the only drone provider wary of going toe-to-toe with hostile adversaries armed with military-grade equipment." It is unclear the types of measures OSCE took to secure this aircraft from Russian jamming attempts. 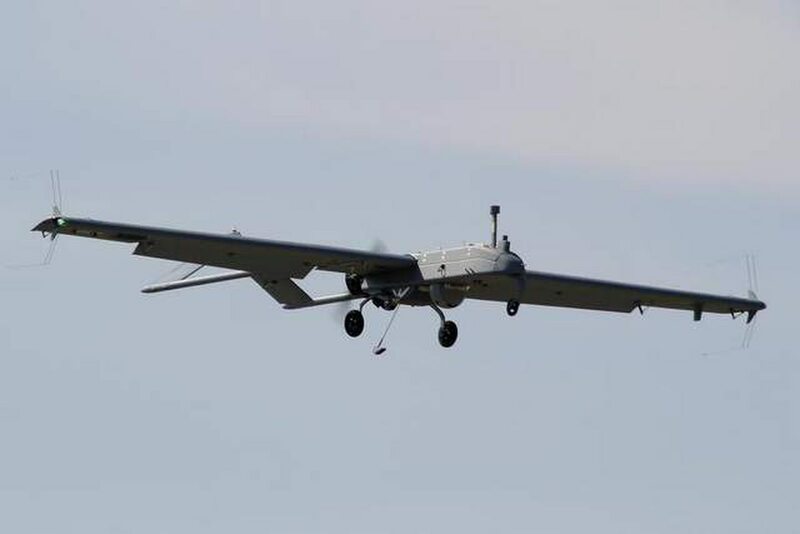 "The tender to renew the contract for UAVs failed because the two leading companies in the tender process would not sign the negotiated contract after the series of shooting downs," a spokesperson from the organization told C4ISRNET. "Subsequent to the failure of the tender, a temporary contract agreement with the service provider was reached. At no stage di[d] the OSCE suspend its UAV operations but in August, the service provider withdrew unilaterally, breaching the contract." Many of these threats were evident in recent world events, most notably in Russia’s annexation of Crimea, Susan Thornton, chair of the NATO Air Force Armaments Group and director of Information Dominance Programs Organization within the office of the Assistant Secretary of the Air Force for Acquisition, said at the annual Association of Old Crows annual symposium in November. One of the primary lessons learned from the annexation of Crimea is how the Russians used EW, she continued, adding it was really a game changer for NATO because Russia’s capability suggested high levels of investment and planning. During this campaign, Thornton said they witnessed the jamming of communications to deny services, and the spoofing of GPS systems forcing Ukrainian forces to use maps as well as cyber attacks against UAVs. Moreover, it is unclear if U.S. systems could be susceptible to similar capabilities or if U.S. systems have undergone the proper hardening to thwart jamming. Despite Hodges' comments regarding U.S. observations of Russia’s capabilities in eastern Europe, U.S. Army Europe told C4ISRNET that it was not in a position to comment as its mission in Ukraine is in the western portion of the country with no personnel in the conflict zone with direct knowledge of the situation. Similarly, given the highly sensitive nature of EW, the Army’s new cyber directorate in the Pentagon, which encompasses cyber, EW and other similar elements, declined to comment along with the office of the Secretary of Defense. Additionally, the Ukrainian defense ministry did not respond for a request to comment. "I would say that we’re aware of the ability to try to attack our command and control of the asset and also its position, navigation, timing — so it’s ability to sense where it is," Brig. Gen. Edward Sauley, deputy director of operation for Joint Electromagnetic Spectrum Operations and the mobilization assistant to the Director of Operations for Strategic Command told C4ISRNET at the AOC symposium. "So the techniques and focuses on trying to defend both our command and control and PNT are separate but related. We are aware of those and advancing both." In terms of hardening U.S. assets, Sauley declined to provide any details. He did, however, offer that the possibility of jamming UASs is a real threat and a consideration the force is trying to address. For their part, the Marines Corps said their "small tactical UAS is employing basic safeguards and protections across the EM spectrum as well as assessing and developing qualifying solutions to enable mitigation for emerging and advanced EW threats." From a general force protection standpoint, this issue comes down to basic battle management. "If you’re just static in one piece of the spectrum of course they’re going to target it and you’re going to get jammed," Marine Corps Lt. Col. Jeffery Kawada, deputy director of information Warfare Integration Division at HQ Marine Corps Capability Development Command, said. "But if you can maneuver in the spectrum and you can sense that and you can maneuver to a clean part of the spectrum — that’s the intent of everything we’re doing … being able to do dynamic spectrum access … we know we’re going to get jammed because we’re doing it to them." This is just tactics 101, he continued; "you’re not going to attack the strong spot. If he’s hitting you here, if you could just go around them [and] that would be the tactic." Kawada said the Joint Capabilities Integration and Development System, which outlines the acquisition requirements that go into a particular system, such as UAS, define basic security protections to guard against things like cyberattacks and electronic attacks. The force is "absolutely" learning from observations of events in eastern Ukraine as they apply to Russian capabilities, Sauley said. While the invasion of Crimea and meddling in eastern Ukraine was a "very watershed event," he clarified it might not have been all that startling from a pure electronic warfare knowledge base. Many experts, he said, were likely aware of the capability extent that existed from the Russians, but "it’s more an awareness across leadership in the military that we need to pay more attention to." In light of advanced capabilities demonstrated by Russia, as well as other near-peer competitors, the U.S. has stood up several offices and projects aimed at countering these capabilities such as the Strategic Capabilities Office within OSD, the Army’s Rapid Capabilities Office and the so-called Third Offset Strategy, aimed at countering the parity adversaries have reached with the U.S. through a series of research and development projects in autonomy, man-machine teaming and other similar technologies.